Beginning in November, the golden-yellow flowers are displayed in loose clusters, each having up to 12 individual blossoms. Individual flowers have five petals and curved stamens and pistils. The large flower clusters form toward the ends of the slender branches and can be so heavy that the branches are pulled down, giving many plants a vase-shaped form. This effect is accentuated after a rain or heavy dew. The leaves are pinnately compound with three to five pairs of oval-shaped leaflets. Foliage is a deep green in the summer, but with falling temperatures, they become greenish-yellow. While the leaf shape and color do have landscape interest, winter cassia primarily fills in garden gaps and provides a consistent backdrop for more showy summer plants. Another cassia with a lot of landscape interest is candelabra cassia or candlestick cassia. This plant is not nearly as commonly grown as winter cassia. It has bright yellow, cup-shaped flowers that are grouped in upright clusters to resemble a candlestick. 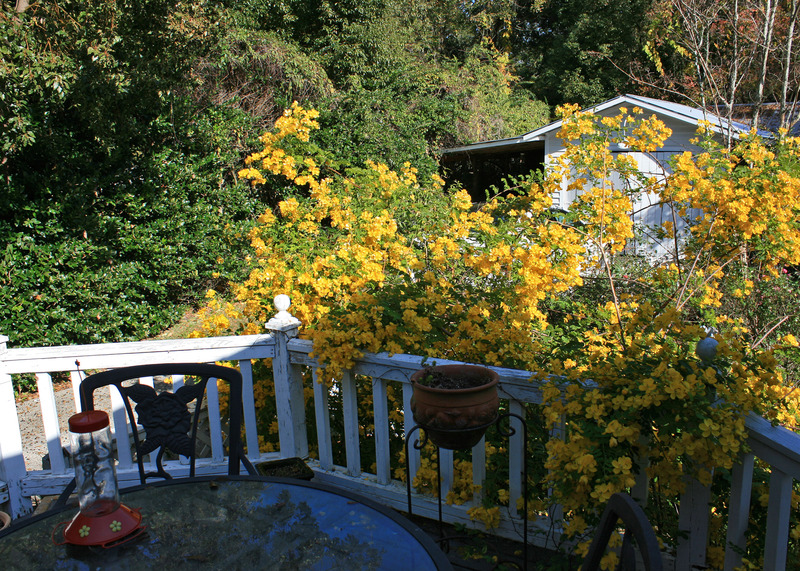 This is a much bigger plant than winter cassia and can grow to about 8 feet tall. The huge leaves add a tropical flair to the landscape. The pinnately compound leaves are up to 30 inches long with individual leaflets being 5 to 6 inches long and 2 to 3 three inches wide. This is a tropical plant, and in the coastal counties, it will commonly die back to the ground during the winter but return in the spring. 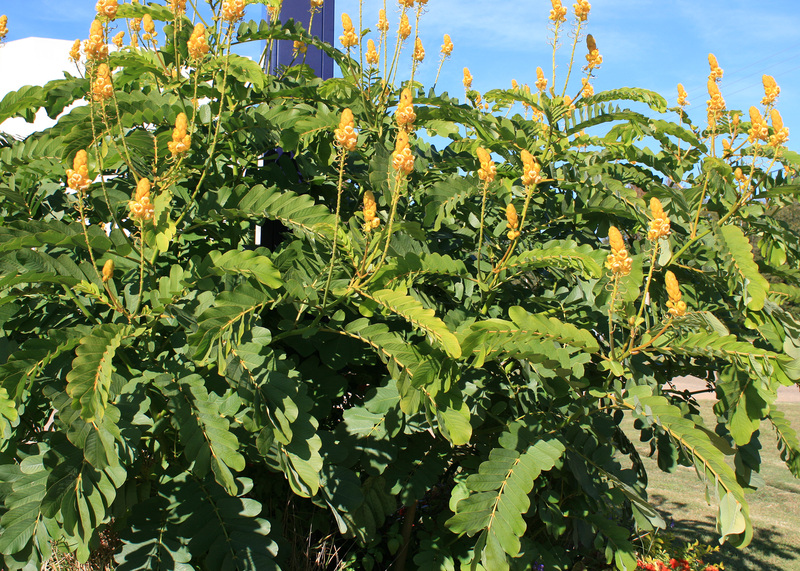 In northern Mississippi, grow candelabra cassia as a lush tropical annual. Plant all cassias in the full sun to produce the best flowering. Good drainage is a must; cassia does not like wet feet, but it also does not tolerate droughty soil conditions. Each spring, top dress the plants with a good-quality compost or sprinkle them with a handful of controlled-release fertilizer to keep your winter cassia healthy. Since these plants originated in the tropics, you must provide some winter protection. When night temperatures start getting into the lower 30s, apply a layer of pine straw or other mulch around the base of the plant to help provide insulation. Winter can be dry, so water once a month if there has not been much rainfall. This is a good idea to follow for all of our landscape trees and shrubs in the winter. If you’re looking for a multitasking plant, choose cassia for winter and summer enjoyment.